Your gift will yield great dividends for generations to come. Give the gift of equity and justice in education by supporting Jacksonville Science Festival. 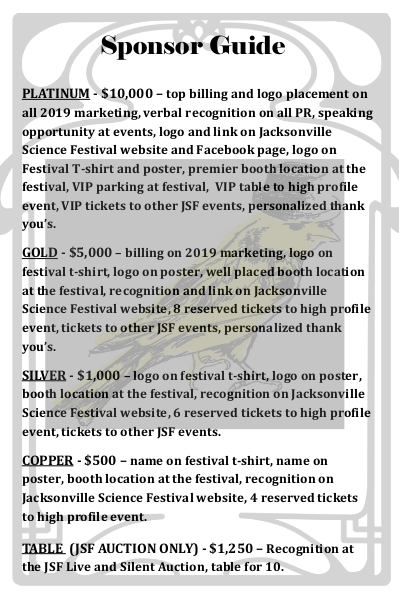 Please call Jacksonville Science Festival at 904-493-3535 for sponsorship package information. Your donation is tax deductible in accordance with current tax laws.